The Panama Canal will next month impose new draft restrictions on ships due to falling water levels at nearby lakes that form part of the waterway, the authority that administers the canal said in a statement on Monday. 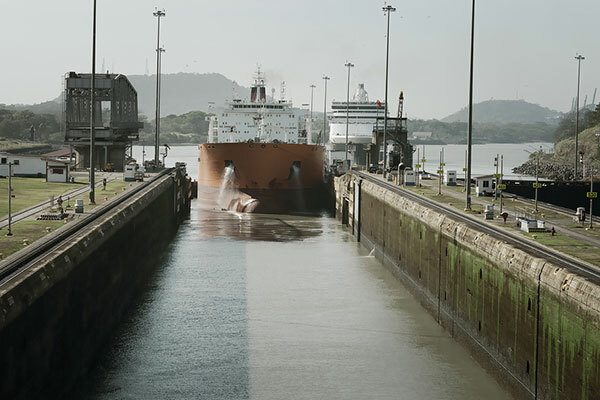 Ships seeking to cross the waterway must comply with a maximum depth limit of 39 feet (11.89 meters) beginning on April 18, but the Panama Canal Authority (APC) said the impact on operations would be minimal. The "temporary and preventive measures" are connected to local climate impacts of El Niño, the seasonal weather phenomenon that has caused a drought in the canal's watershed, and will be implemented in 6-inch (15-cm) decrements that will be announced at least four weeks in advance.